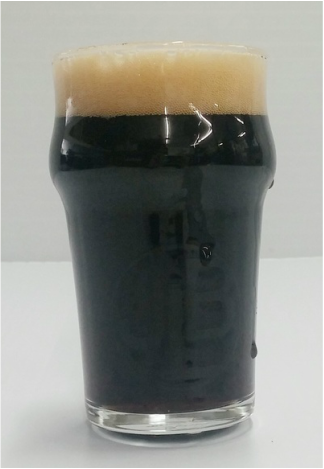 Brewed and named in honor of TestPilot 001 Jeff Kramer the SmoKin Porter is a full bodied robust porter exhibiting a mildly smoky character complimented by a generous helping of CTZ hops for bittering and Mt. Hood hops for flavor and aroma. With an ABV of 7%, a bitterness of 51 IBUs and a deep dark SRM of 32, the SmoKin Porter drinks remarkably smooth for such a dark colored beer. With skills that rival Kramer's own, the SmoKin Porter is a delicious choice for any occasion. Roasty, smokey, chocolatey, robust American porter.